We may not have a symphony orchestra on the moon (YET), but we’re absolutely still playing music in a beautiful concert hall! On April 3 in 1962, former Seattle Symphony Music Director Milton Katims (above) wrote a time capsule letter to the Seattle Symphony of the 21st century. Take a look. For the 1962 opening of the Seattle Center Opera House, composer Igor Stravinsky, pictured here with Music Director Milton Katims, conducted the Seattle Symphony in his Firebird Suite. 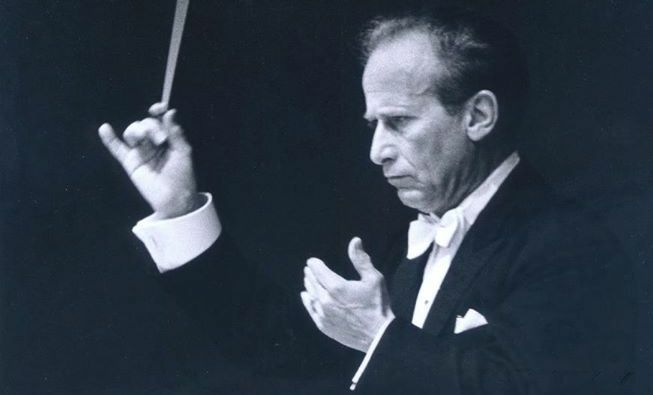 Katims was Music Director of the Seattle Symphony from 1954-76.